Aaron Rodgers is arguably the top quarterback in the NFL. Over the past couple of years, he's watched other quarterbacks – like Kirk Cousins, Matthew Stafford, and Matt Ryan – earn big bucks. The whole time, he had to be thinking he was worth more than any of his fellow signal callers. Well, now he's getting paid like the top quarterback in the league. Rodgers and the Packers agreed to a four-year, $134 million extension. The deal includes a record $57.5 million signing bonus and Rodgers will earn $80 million by St. Patrick's Day. That equals $400,000 PER DAY for the next 200 days. 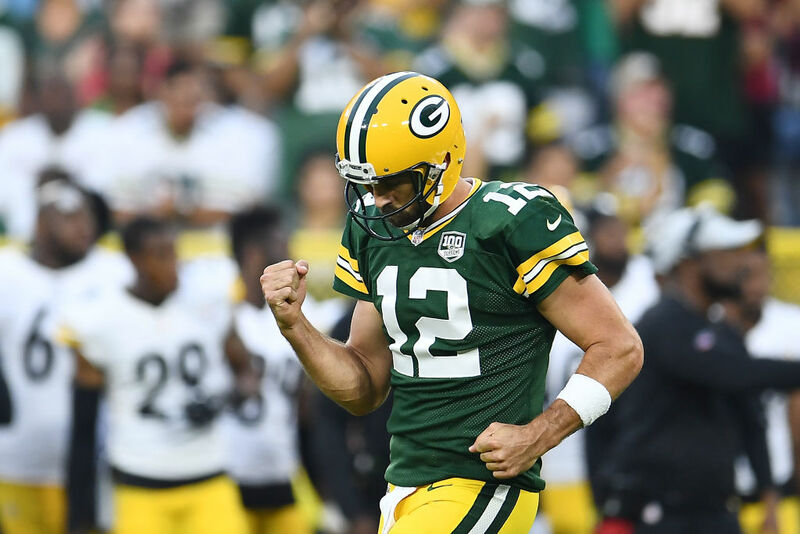 The extension means Rodgers will make between $176 and $180 million over the lifetime of his deal. He previously signed a five-year, $110 million extension in 2013. By the time this deal ends in 2023, Rodgers will have made $315 million. His predecessor, Brett Favre, made $135 million during his entire career. Rodgers will enter his 14th season in the NFL. He currently has the best passer rating (103.8) and TD-to-INT ratio (4.01:1) in league history. Perhaps Rodgers' biggest strength is how he makes the rest of the team better. Since 2008, the Packers are just 6-13-1 without Rodgers on the field, averaging a full 7.5 fewer points when Rodgers is sidelined. Rodgers has already taken to social media to celebrate. His post is a reminder of how far he's come, from backup QB who slid in the draft to one of the best to ever play. The bad blood between Packers QB Aaron Rodgers and his brother Jordan hit a new level on Twitter recently, in a spat involving that devastating California wildfire.